A discussion question: What is the name of the polygon shape for the sheet that you have chosen? How did you check this? In this activity we distinguish the shapes according to the number of edges. Answer: The sheet has the shape of a quadrilateral. A polygon with 4 straight sides and 4 vertices is named a quadrilateral. Folding instructions: Fold two opposite vertices. A question: What is the name of this new polygon? Explain. Answer:A triangle. 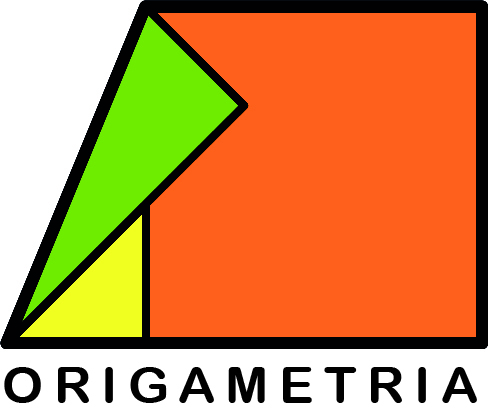 A polygon with 3 straight sides and 3 vertices is named a triangle. It is important that the pupil will count the sides and vertices of the triangle in order to relate to the correspondence between the number 3 and the name triangle. 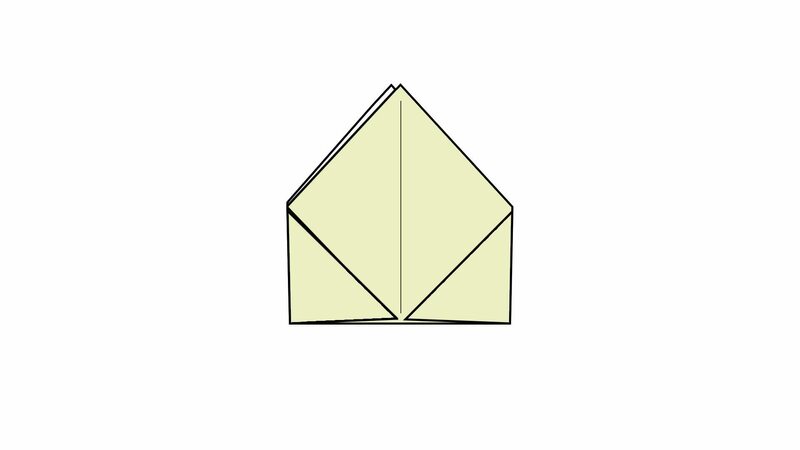 Folding instructions: Fold two vertices as shown in the animation and then open the fold. We now have a fold which is the line of symmetry for this triangle. Folding instructions: Fold two vertices to the line of symmetry as shown in the animation. Activity: Discover polygons that can be seen in this new folded shape. Answer # 1: We have found a polygon with 5 sides and 5 vertices. A 5 straight sided polygon is named a pentagon. Answer # 2: We have found 2 additional quadrilaterals with 4 straight sides and 4 vertices. Folding instructions: Fold opposite vertices as shown in the animation. Folding instructions: Open one of the triangles as shown in the animation. Folding instructions: Turn over your shape as shown. 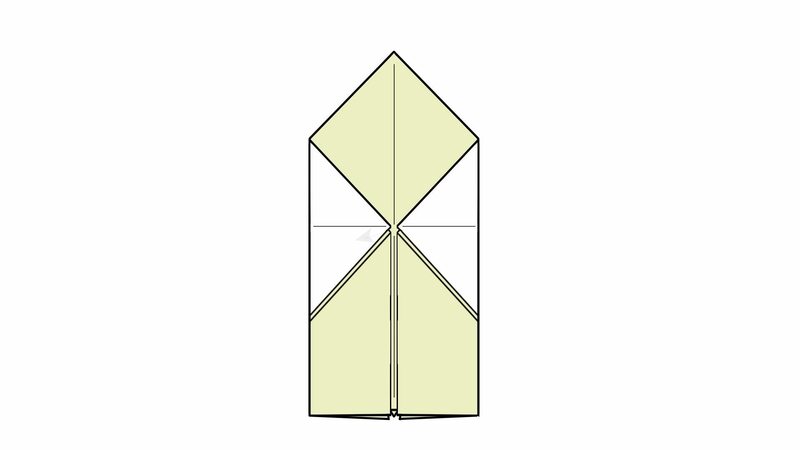 Folding instructions: Fold two straight sides to the line of symmetry as shown. Check that all of the pupils are folding the shapes on their desk. A discussion question: Can you identify different quadrilaterals in your newly folded shape? Explain. Answer: We have found several quadrilaterals. Each with 4 straight sides and 4 vertices. In order to further develope this answer pupils can demonsrate their findings on the class blackboard. 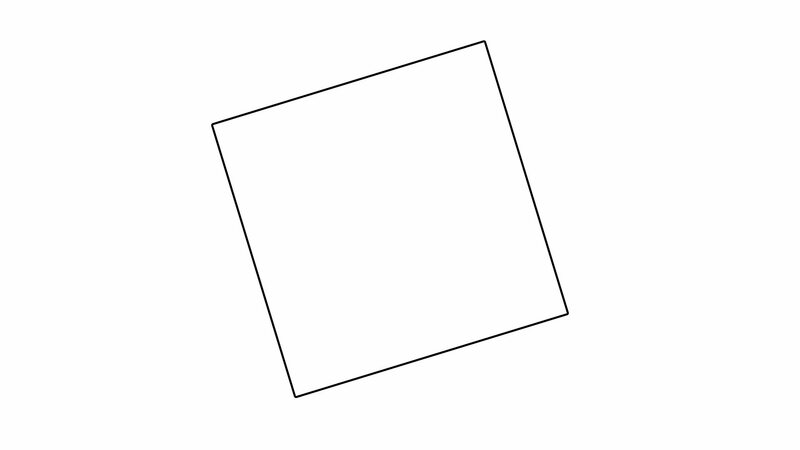 Various other quadrilaterals can be shown-a trapezoid,a square, and a parallelogram. 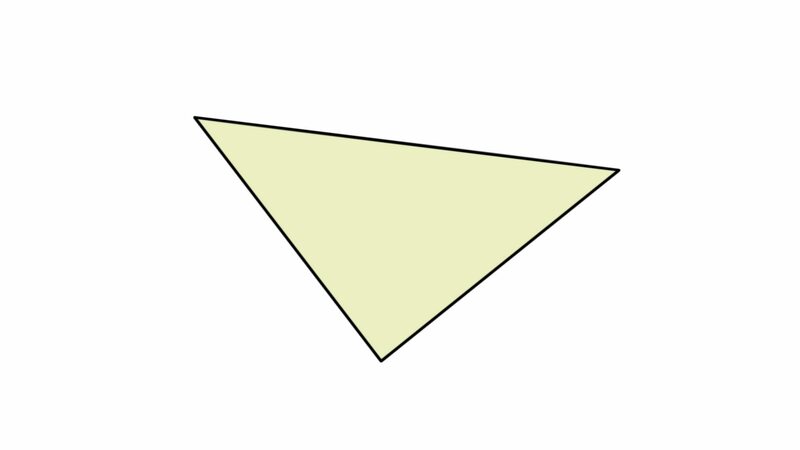 Folding instructions: Fold the vertex to the opposite straight side as shown in the animation. Folding instructions: Turn over your shape. Folding instructions: Open out 2 folded triangles. Folding instructions: Fold open 2 triangles as shown and then insert 2 fingers into the shape. A discussion question: What name do you want to give to your new model? 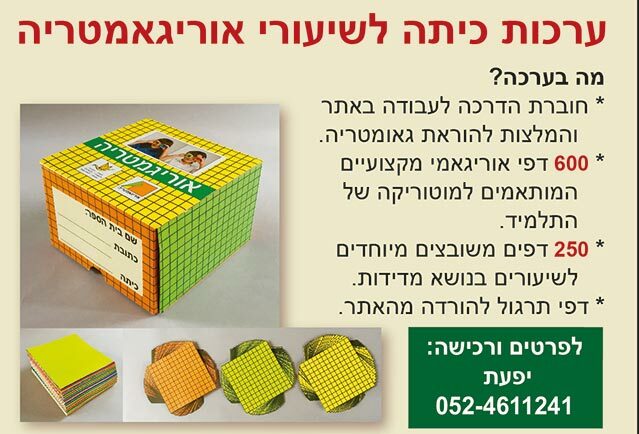 Itis suggested that the pupils will draw on the model and decide which name is suitable. The pupils will fold and identify shapes according to their properties. The pupils will use paper folding in order to make geometric shapes and investigate their properties. If during the folding process there are cases of inexact folding by some of the pupils, then these cases will be used to identify differences between the polygons and their properties. The pupils will also learn the concept of polygon sides and vertices.